There’s a child’s pink bicycle helmet that Orta dug out from the garbage bin across the street from Zuckerberg’s house. And a vacuum cleaner, a hair dryer, a coffee machine — all in working condition — and a pile of clothes that he carried home in a Whole Foods paper bag retrieved from Zuckerberg’s bin. 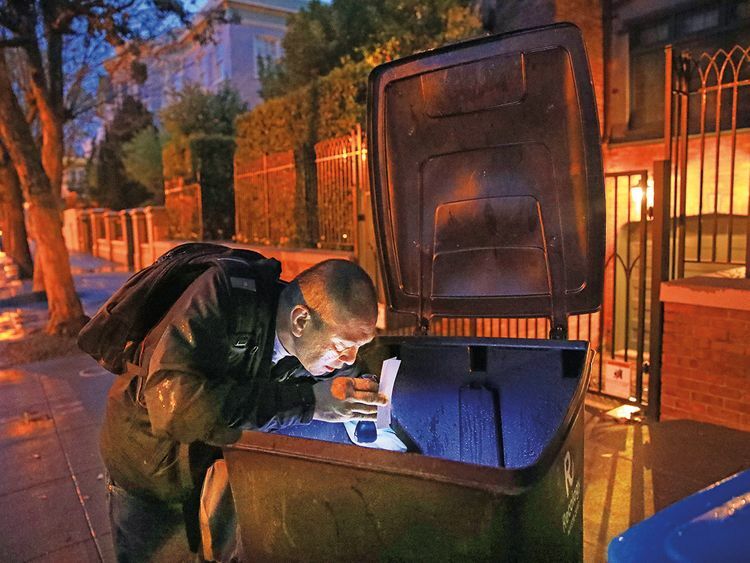 A military veteran who fell into homelessness and now lives in government-subsidised housing, Orta is a full-time trash picker, part of an underground economy in San Francisco of people who work the sidewalks in front of multimillion-dollar homes, rummaging for things they can sell. It just amazes me what people throw away. You never know what you will find. Trash picking is a profession more often associated with shantytowns and favelas than a city at the doorstep of Silicon Valley. The Global Alliance of Waste Pickers, a non-profit research and advocacy organisation, counts more than 400 trash picking organisations across the globe, almost all of them in Latin America, Africa and southern Asia. But trash scavengers exist in many US cities and, like the rampant homelessness in San Francisco, are a signpost of the extremes of US capitalism. A snapshot from 2019: One of the world’s richest men and a trash picker, living a few minutes’ walk from each other. Trash picking is illegal in California — once a bin is rolled out onto the sidewalk the contents are considered the possession of the trash collection company, according to Robert Reed, spokesman for Recology, the company contracted to collect San Francisco’s garbage. But the law is rarely enforced. Orta was born in San Antonio, Texas, one of 12 children. He spent more than a dozen years in the Air Force, loading aircraft during the Arabian Gulf war of 1991 and was dispatched to Germany, Korea and Saudi Arabia. By the time he returned to the United States, his wife had left him, and he struggled with alcoholism and homelessness. He moved to San Francisco, and five years ago qualified for a program assisting chronically homeless veterans. On the six times Orta went out with a reporter, he followed a variety of circuits, but usually ended up exploring his favourite alleys and a dumpster that has been bountiful. (The first rule of dumpster scavenging, he said, is to make sure there’s no raccoon or possum in there.) In March, the dumpster yielded a box of silver goblets, dishes and plates, as if someone had yanked a tablecloth from underneath a feast in some European chateau. Trash pickers fall into several broad categories. For decades, elderly women and men have collected cardboard, paper, cans or bottles, lugging impossibly large bags around the city and bringing them to recycling centres for cash. Trash pickers like Orta are in yet another category, targeting items in the black landfill garbage bins whose contents would otherwise go to what’s known as the pit — a hole in the ground on the outskirts of the city that resembles a giant swimming pool, where nonrecyclable trash is crushed and compacted by a huge bulldozer and then carried by a fleet of trucks to a dump an hour-and-a-half away. The city exports about 50 large truckloads a day. 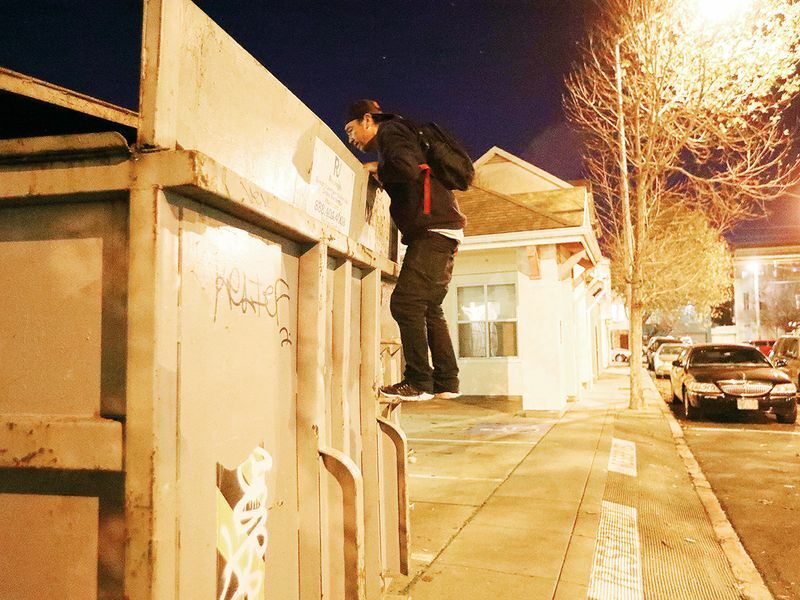 Marzano said there is overlap among trash picking and homelessness and public drug use — the street conditions that have ranked at the top of residents’ concerns for several years. 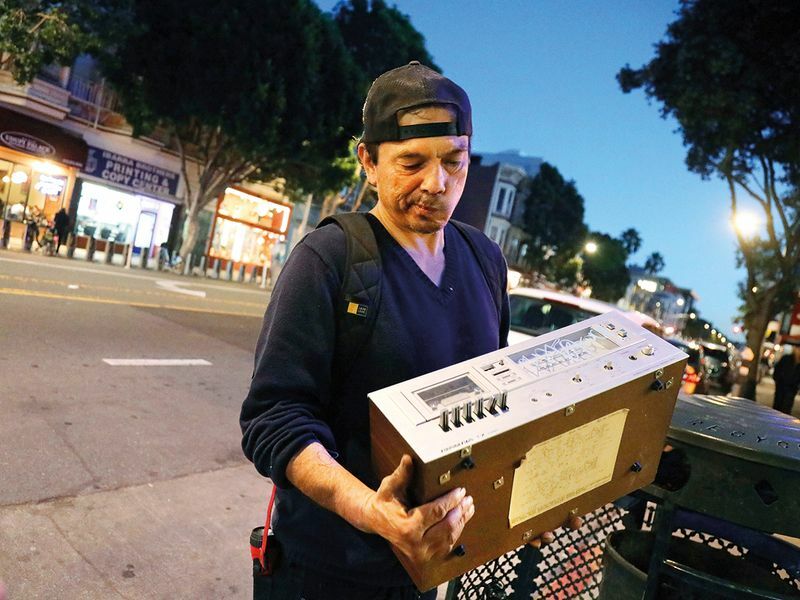 But he sees trash picking, and the spontaneous sidewalk markets that pop up in neighbourhoods like the Mission and Tenderloin, as a form of entrepreneurship. 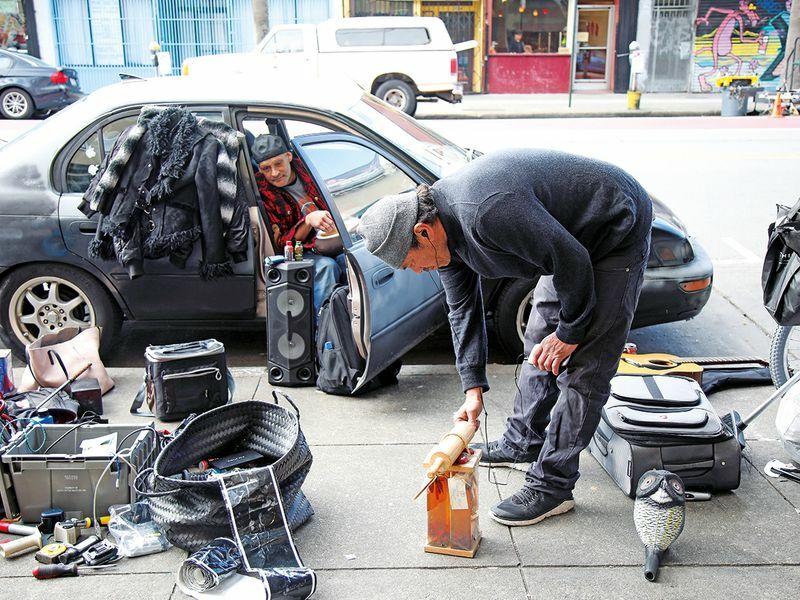 Orta sells what he retrieves at impromptu markets on Mission Street or at a more formal market on Saturdays on Julian Avenue. Children’s toys very rarely sell — parents don’t like the idea that they have come from the trash. Women’s clothing is iffy. But men don’t seem to care as much where the clothing came from, and jeans are easy to hawk for $5 or $10 a pair. Orta’s favourite item retrieved from the trash is one that he will not sell: a collection of newspapers from around the world documenting the course of the Second World War. He wonders why anyone would have thrown that away. On a recent Tuesday evening — the eve of trash collection in Zuckerberg’s neighbourhood — Orta didn’t find anything worth keeping in the Facebook founder’s two garbage cans. Zuckerberg has at least one other home in the San Francisco Bay Area; this one he bought in November 2012 for almost $10 million through a company he controls. In the blue recycling bin marked with Zuckerberg’s address, there were A & W diet root beer cans, cardboard boxes and a junk mail credit card offer. In the black landfill bin were remnants of a chicken dinner, a stale baguette and Chinese takeout containers.